Over the past few years there have been a number of sweet little LED lights appearing on the market that can be plugged directly into a USB port. None are expensive and some of these, with their incredible light weight and minute proportions are perfect for slipping into a backpacking electronics bag. There are also larger versions that come with a flexible bendable silicone body that suit plugging into laptops etc. but these are far too heavy for inclusion in a lightweight backpacking set-up. Some people use the ones with silicone bodies for task or mood lighting, others as night lights. The smaller ones that I am looking at here, are more suited to being included in an electronics gear bag, to be infrequently pulled out and used in a tent for reading, low lighting for orientation in a hostel or bunkhouse, or, in an emergency, for use on the trail at night when just about everything else has failed, though I wouldn’t recommend that. 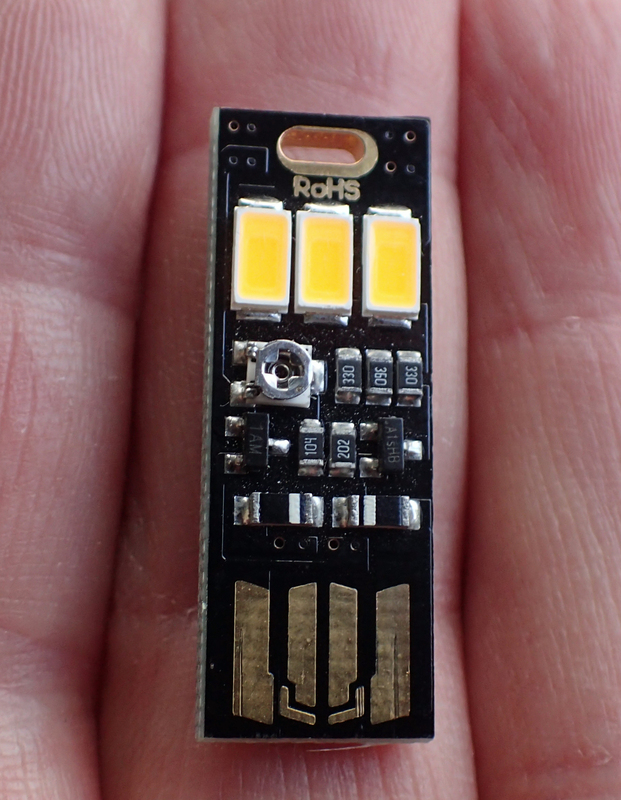 I have recently been looking at the really small LED lights that are available with USB connectors. None of them are more than a handful of grams and every one is of quite tiny dimensions. Different configurations of LEDs are available, one, two, three, four, six and more LEDs can be mounted on a small mount board with different arrays of simply circuitry. Not all LEDs are created equal. As well as the amount of practical light that is emitted (brightness), also of importance to the hiker should be the type of light- cool or warm, and how much current the light is taking up. Most of these little lights are made in China and it can be difficult for the layman, i.e. me, to get the exact specifications of each product. I have occasionally used little plastic three-LED lights with USB connector at night within my tent while backpacking. They measure 58mm x 18mm x 8mm and are almost totally encased in plastic, with a removable, and easily losable, clear plastic cap over the USB connector. Drawing 5 volts at 1.5W, even though they only weigh 7.4g, I still felt this was a weight that could be shaved and eventually excluded them, using either my headtorch or a red or white Photon Freedom Micro button light from LRI. While the encapsulated LED does have a degree of protection from knocks and just a tad of protection from water splashes etc, the plastic surround does increase the potential of overheating. But this is probably only likely to be a problem if used for longer periods than the average hiker is going to use them for. I don’t think these are in any way suited to night hiking, instead being more useful to see around the confines of a tent or similar. 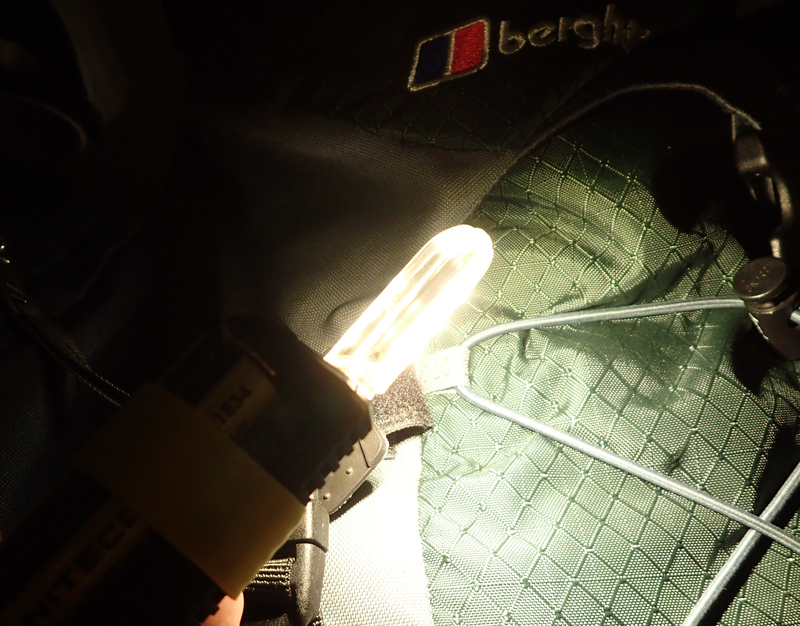 Yes, I could continue to use a headtorch, but these little LED lights spread their light well and have quite useful moderate brightness, hence my re-exploring the lighter options. 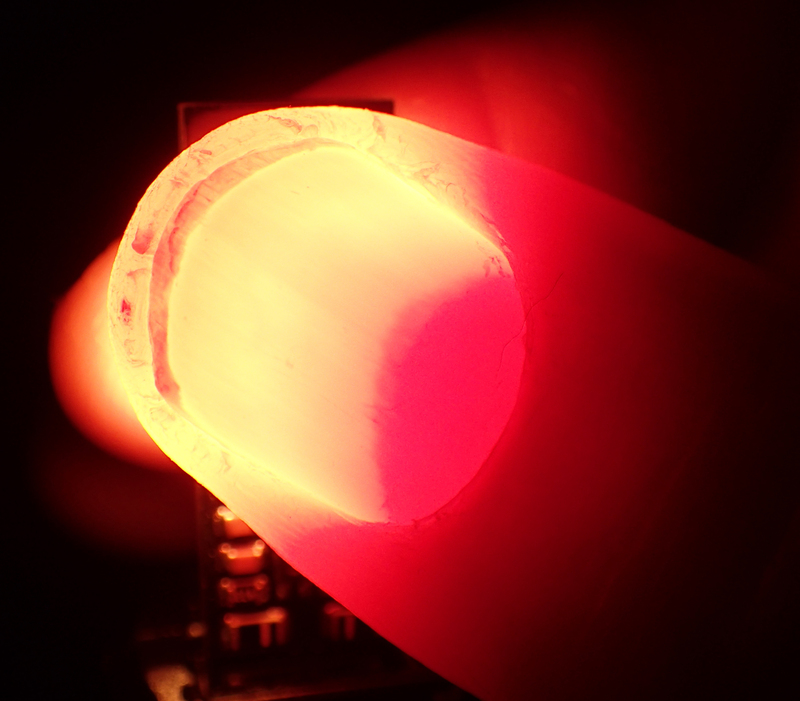 There is also a minuscule double-sided LED variant of the plastic encapsulated LED light to be purchased. This is a pretty tough little option that draws very little current and is an excellent option for anyone that wishes to include one of these lights but is worried about exposed circuitry on a more minimalist board. It cost less than a pound and weighs 5.2g, including the easily lost 1g cap. Measuring 42mm x 18mm x 8mm, this light will flood an area with light and works well with one of the lightweight lantern diffusers available, such as the 7g crush-able one made by Montbell. This light is fitted with a single 5730 LED on each side. Illumination is 7500 kelvin cold white light. This is bright and quite harsh, you wouldn’t like to look straight at the light by any means. 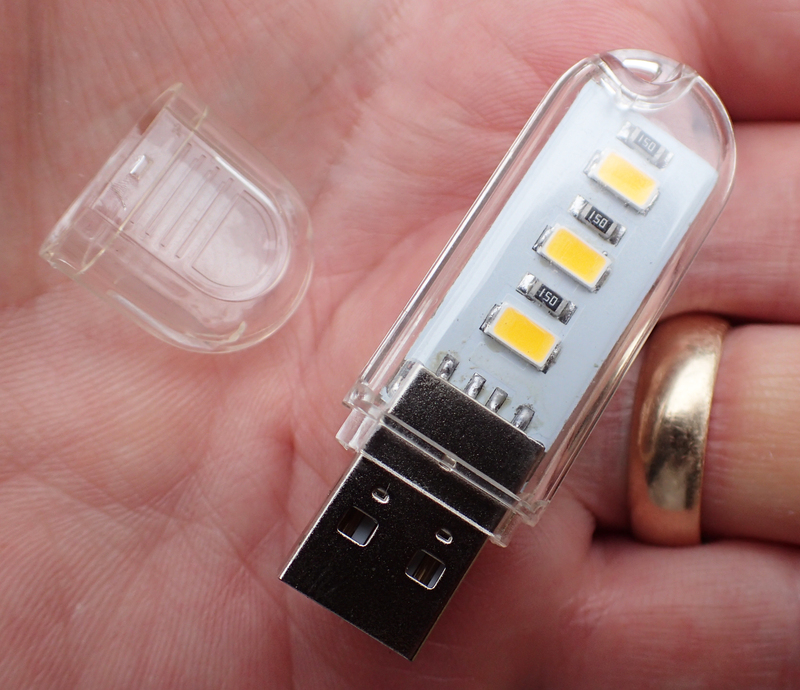 This USB LED light has a single LED on each side which cannot be directed in any effective manner. 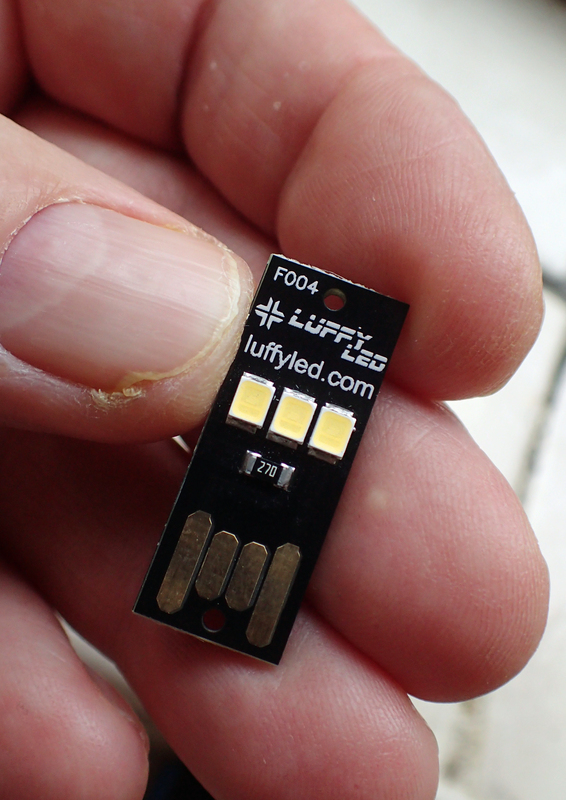 Other, slightly lighter LED lights with USB connectors can be purchased that have no plastic covering to them and LEDs on only one side of the circuit board..
Luffy 3 x LED USB light. The little three-LED light from Luffy cost me a grand total of 12 pence on eBay, including postage and packing. You can’t even send an empty envelope by Royal Mail for 12 pence, someone explain that to me. 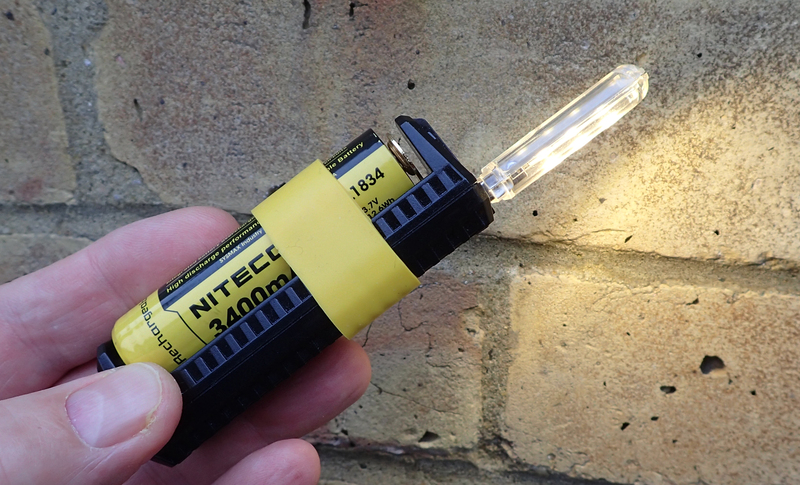 This little light measures 30mm x 12mm x 3mm and weighs just 1.5g, which is just about the same weight as the plastic cap of the previously mentioned LED light. It is advertised as being fitted with three 2825 (but more probably 2835) SMD LED chips (Surface-Mount Device Light Emitting Diode). 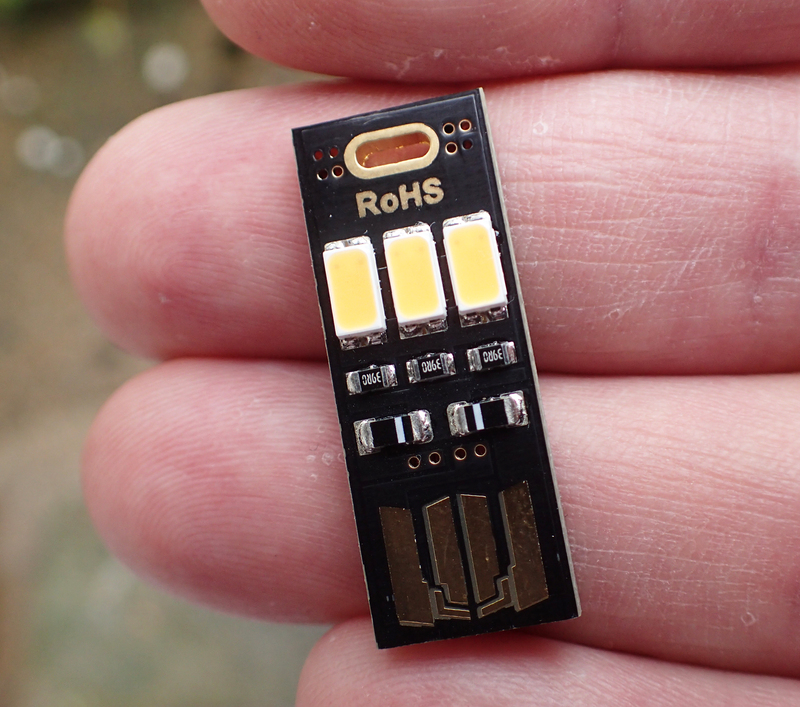 The small dimensions of these LEDs are only too apparent when compared with those shown below, however it is the current drawn that mostly defines the brightness. This LED light has~80 lumens and works at 0.5W, ~5V with a ~40mA current draw. The LEDs emit 6000K xenon cold white light, I will cover types of white light later in this post. All of these little lights are advertised as being suitable for hanging from a keychain or similar but I reckon they are too fragile for this. In common with many such LED lights, the three x LED Luffy light has everything mounted on one side of the board, a plain back being exhibited on the reverse and the light can only be inserted into a USB one way, so is not reversible. Some of these little LED lights are truly minute. While I could find virtually no specification to the two shown below, they are of even smaller dimensions than the Luffy; each weighing just 1.2g and measuring 29mm x 12mm x 3mm. I don’t think you can get any smaller than these lights while still being practical. All I know of the specs to this light is that it is, again, fitted with three-2835 LEDs, emitting a 6000k cold white light. These lights are advertised as drawing a lower current than the Luffy versions- 0.2W ~5V. For very little additional expense, and with the addition of a bit of extra circuitry, you can have exactly the same type of light but with contacts on each side of the board and a reversible capability. i.e., they can be plugged into a USB connector in one of two orientations. It is worth considering that with a totally open board on these lights, that if including more circuitry, there is more to be potentially damaged on the trail. I do think the usefulness of being able to put a LED light, in either orientation, into a plug or wall USB point outweighs the increased risk of damage to the extra circuits. If simply plugging one of these lights into a power bank, then two sided contacts is an irrelevance. The additional circuitry adds a minuscule weight to the double-sided contact LED lights. They now come in at a whopping 2.2g! Still small, each measures 31mm x 12mm x 3mm. They are apparently RoHS compliant, which doesn’t appear to be difficult to attain for such a product but is, nonetheless, good to hear. As usual, there is little information to be found on these lights. The one shown is fitted with three-LED (possibly 5730 SMD). 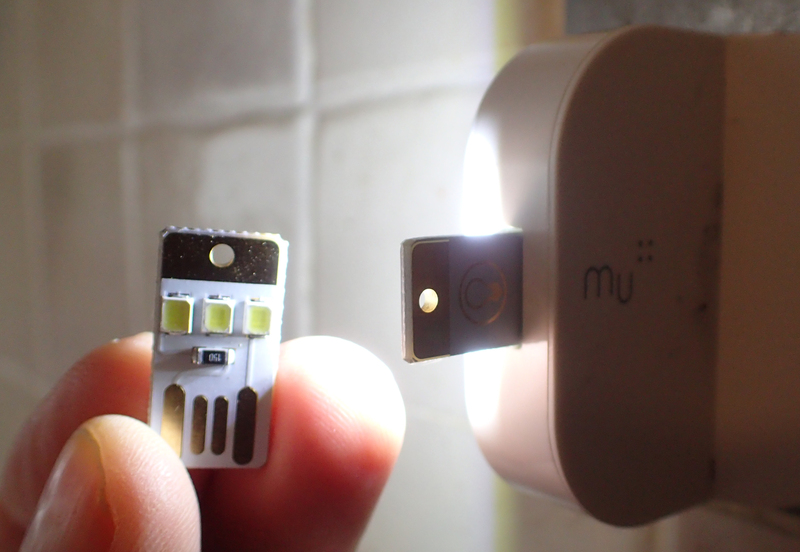 The warm LEDs are powered by 0.5W, ~5V and these LEDs emit around 55-60 lumen. 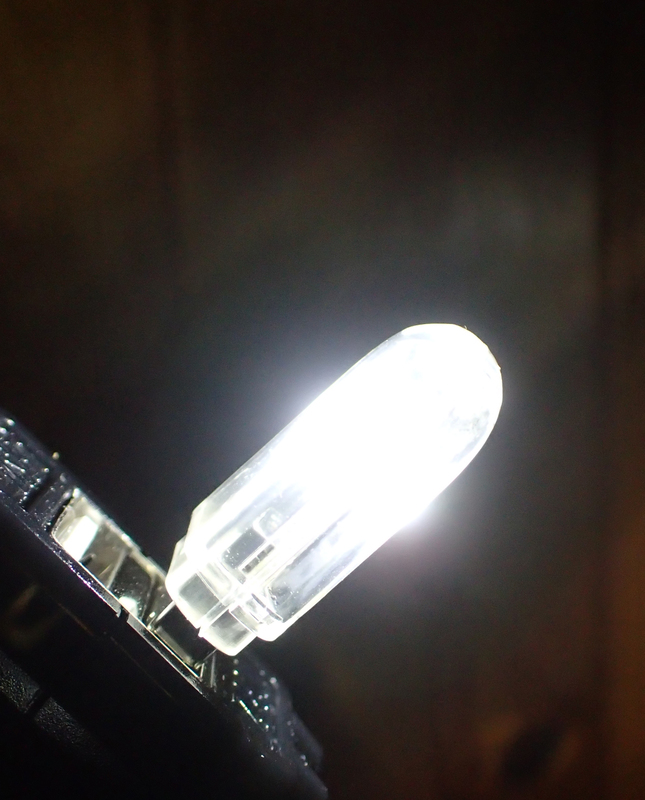 The Soshine six-LED Power ‘Night Lights’ I purchased include still further complex circuitry. Again, perhaps more to go wrong, but it makes these lights far more practical to use. Each has a small amount of touch sensitive circuitry (capacitive touch sensor) on the reverse, also another set of connectors which again means that each LED light can be inserted in any orientation into a USB port, i.e. pointing either way, which is more useful in a practical context. These were substantially more expensive than the simple Luffy lights but still no more than around a quid each, and I have seen them even cheaper. These measure 42mm x 12mm x 3mm and weigh 3g each. These lights are advertised as being RoHS compliant. They are also CE Certified. Do note that none of these little mini LED lights are in any way encased and are therefore not waterproof and are more susceptible to damage. Lightly touching the back turns them on/off and can also dim or brighten the lights to any degree between lower and upper limits. Little information is supplied with the two lights I purchased. 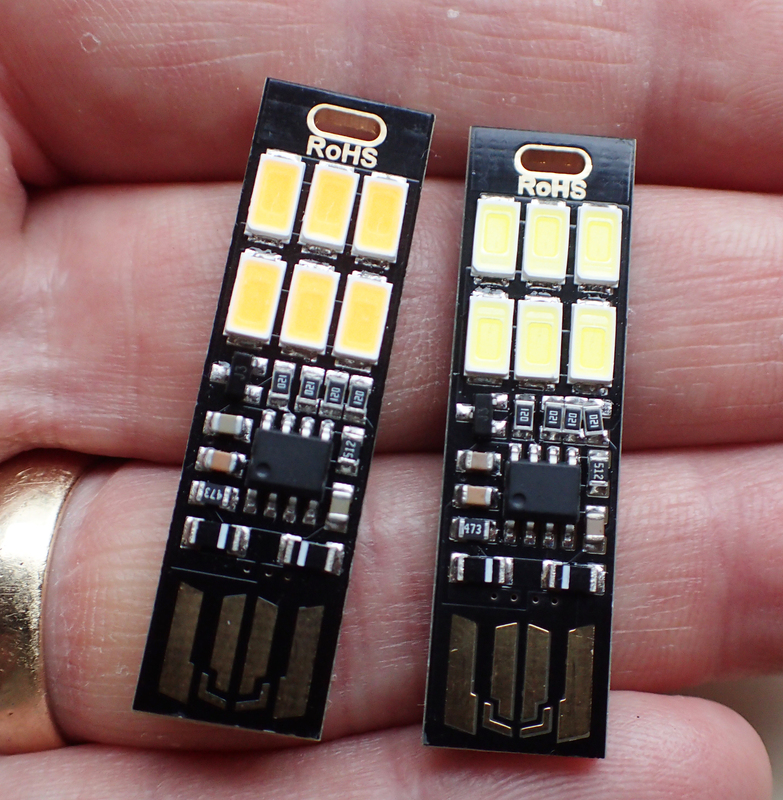 These are six-LED (possibly 5730 SMD). They run at ~0.6W, ~5V. Brightness is around 110 – 150 lumen when on maximum. But do note that cooler whites will emit slightly more lumen than warmer white. Why did I buy two lights and not one? Because I wanted to compare the warmth of the light emitted. There is also a light sensitive version available, measuring only 32mm x 12mm x 4mm, however I exclude this light from any final choice I would make as I think application for this facility is extremely limited in the back-country. Colour temperature is measured in degrees Kelvin (K). A warmer white light would be around 2700K to 3500K. A natural white light is between 4000K and 5000K. A cooler white would be around 5000K and upwards to around 6500K. Note that this is not a measure of brightness, which is measured in lumen. The two 6 -LED lights I purchased emit different temperatures of light, one is warm, the other cool (warm around 3200K and cool around 5000K) . Despite a cool white being more akin to daylight, my personal preference is for the warm light as it is less harsh. If using an LED light in the confines of a tent, I think warm light is gentler on the eyes and appreciated more over longer periods of use, causing less eyestrain. This is why fire can be so relaxing or soporific, a candle flame is around 1850K. There is a, hard to find, version of this light available with six-LEDS, three being warm, three being cold light and you can choose and switch between them. If I were really struggling for a reason to use this- warm light helps to relax us, preparing the mind to sleep. Cool white on the other hand, is more useful for when we want to be alert. So perhaps if rising before dawn, a cool white may help us to prepare for the day, encouraging alertness. Am I convinced on this as a reason for including both types of white light? Perhaps not. 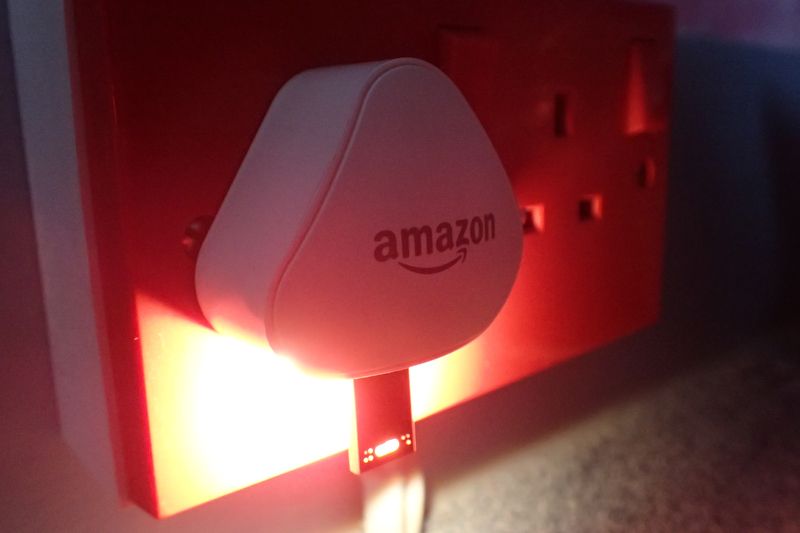 These LED lights can be plugged straight into a USB wall socket, or USB plug such as the folding Mu plugs I use when backpacking and travelling, or, alternatively, straight into a powerbank. Their draw is so low that they may not suit all powerbanks, some of which fail to recognise them. I have also seen some LED lights that will plug into a phone’s headphone jack or mini USB connector but not only do they seem to be much heavier alternatives but I feel you may as well use the torch app/facility if using your phone for light. Due to the lack of any decent heat sink, some users have reported problems with the LEDS heating up over time, this is certainly far less of a problem with the smallest and dimmable versions which are drawing less power. Personally, I am averse to leaving any of these examples on throughout the night, and certainly never unattended. Even though they are often advertised as ‘Night Lights’, I would be loathe to use them as such around the home. 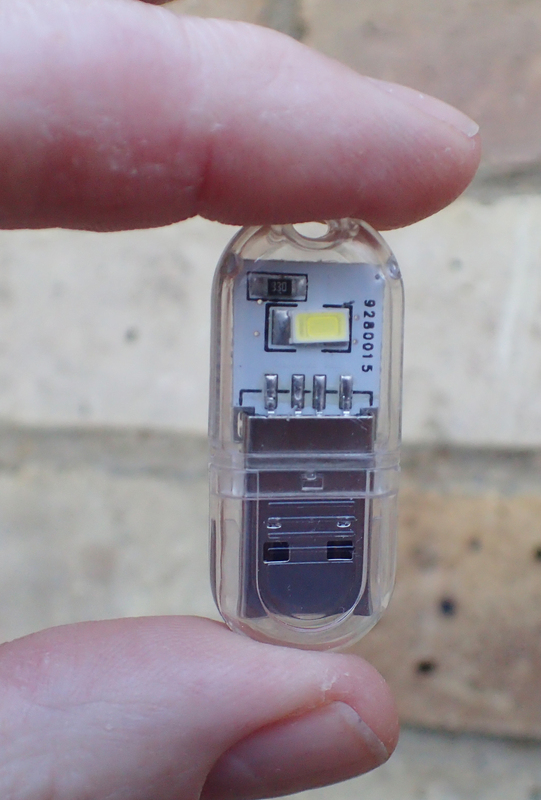 I haven’t looked at every type of mini USB LED light available. There are some with larger 5050 LED chips on the market for example. 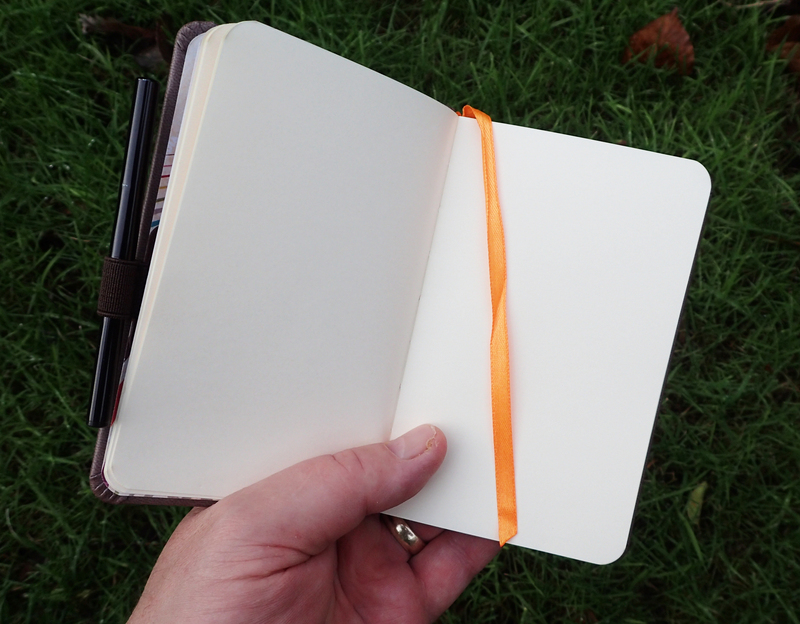 But this post has probably been sufficient to whet your appetite, or bore you to tears! It probably isn’t possible to get much smaller than these little lights while retaining any degree of actual practical functionality. If made any smaller they would be too fiddly to handle. 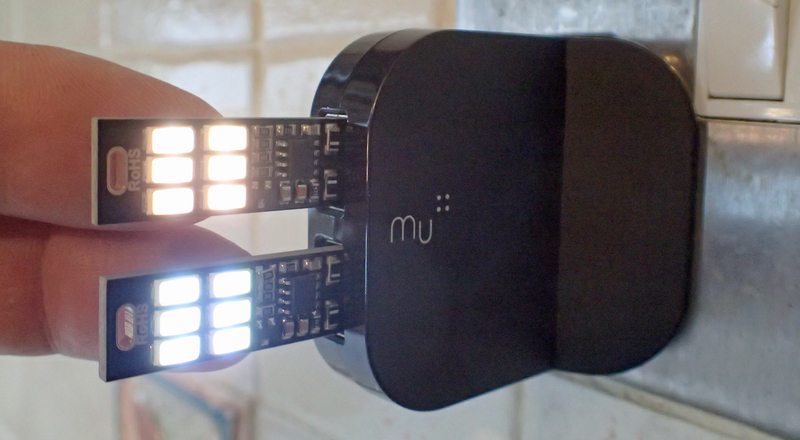 There are also LED lights that can plug into Micro USB ports. I am sure brighter LEDs will make their way onto the little circuit boards eventually but for the confines of a tent, hostel, bunkroom or similar, I am not sure that is required. Newer and more efficient LEDs that draw a lower current, possibly. In the meantime, I have slipped one of the 3g dimmable LED lights, with double sided contacts, in to my electronics gear bag that accompanies me on backpacking trips. This entry was posted in Gear, Uncategorized and tagged camping, electric, electricity, gear, LED light, light, power, small stuff, USB on January 27, 2018 by Jools. As a young man I was interested in British motorcycles and had a wanderlust only partly sated by overseas postings whilst serving in the British Army. 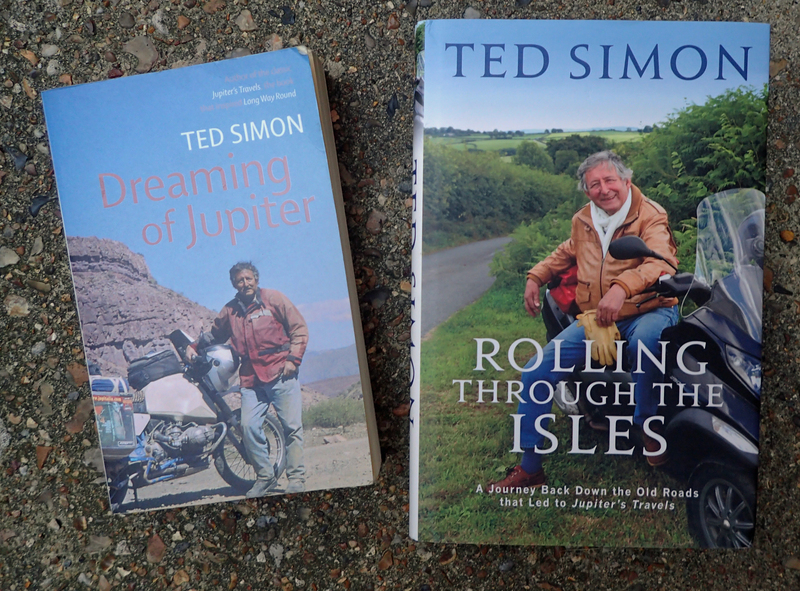 It is not surprising that I, along with tens of thousands of others, was enthralled and inspired by Ted Simon’s tale of his setting off on his 500cc Triumph Tiger 100 in 1973 for a four year, 60 000+ road mile journey round the world. I never followed in his tyre tracks, though countless others were inspired enough by his 1979 account to do so. Jupiter’s Travels is a rattling good read that led the way for the plethora of similar, if often lacklustre, motorcycling travelogues that followed from others detailing their own exploits. The very best of travelogues involves jeopardy and mistakes, the author was no fool, but he certainly had errors and misfortune aplenty, interspersed with adventure and life experience. 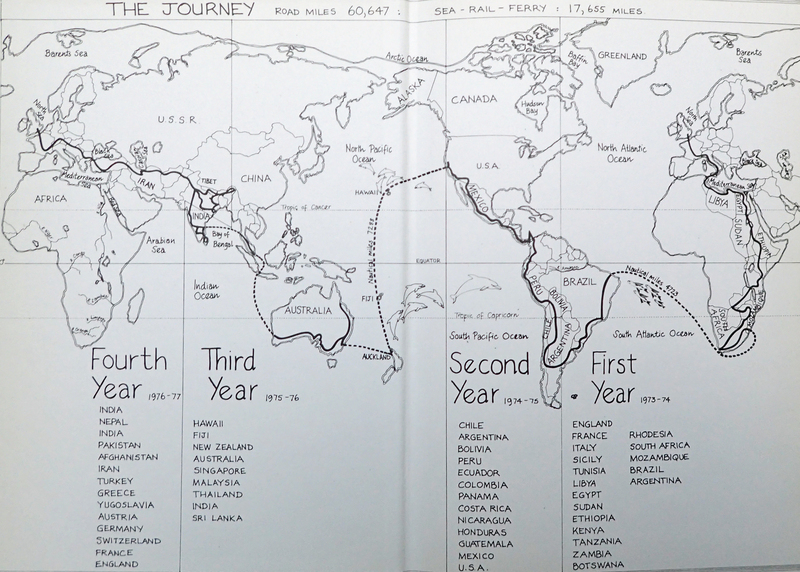 He was 42 years old when he set off on his first circumnavigation. 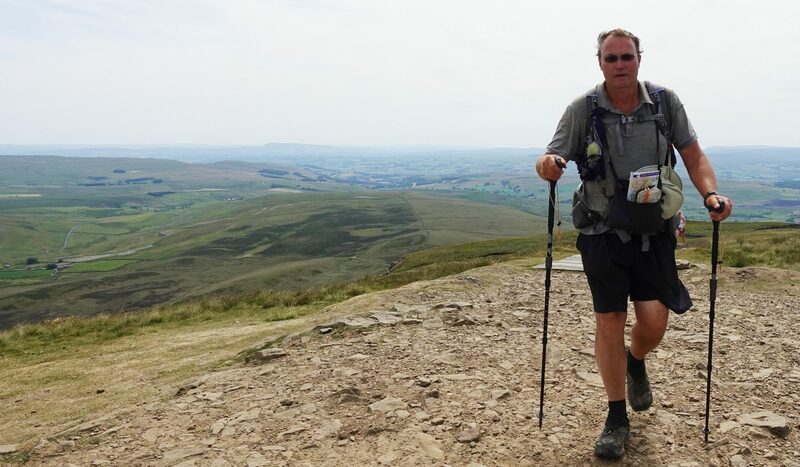 Aged 70, he set off again. This time, he rode a BMW R80 GS. It was not just the bike that had changed, this time he took a laptop and digital camera, electrically heated clothing and gloves and a folding seat to save him from sitting on the ground- “something that has always disqualified me for the New Age”. 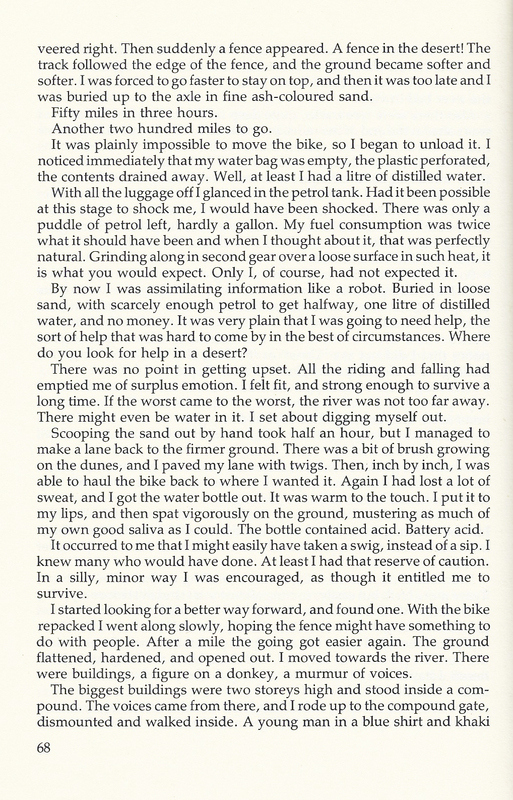 The account of his second motorcycle journey was recorded in his 2007 volume- Dreaming of Jupiter. 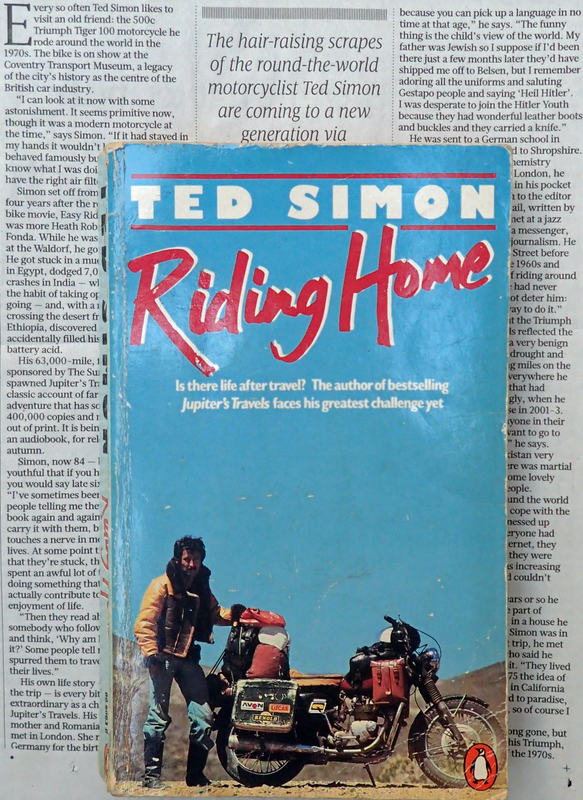 For those, literally, more pedestrian in their travels who have no interest in the motorcycling exploits of others, Ted Simon did venture out on foot for another of his journeys. 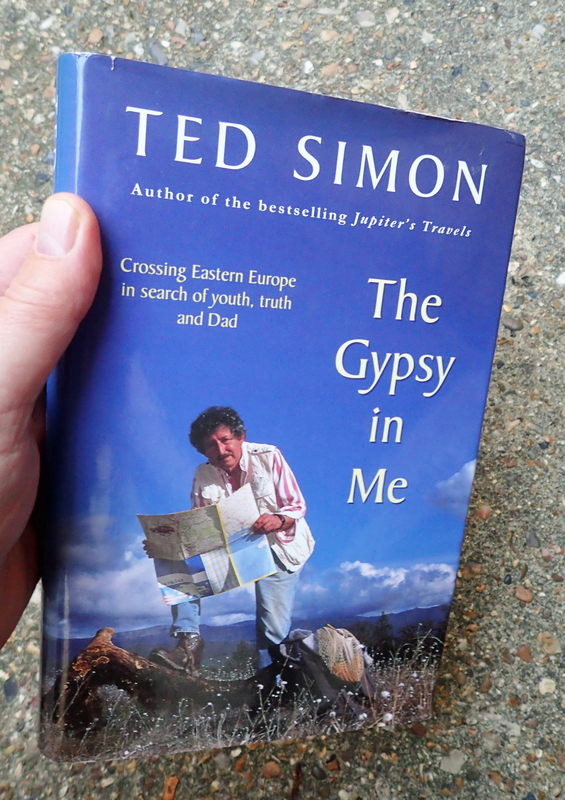 This self-devised adventure is recounted in his book The Gypsy in Me. Seeking to walk from his mother’s birthplace in Hamburg to his grandmother’s birthplace on the Baltic coast, from Russia, his route would take him south through Poland and the Ukraine to Romania. 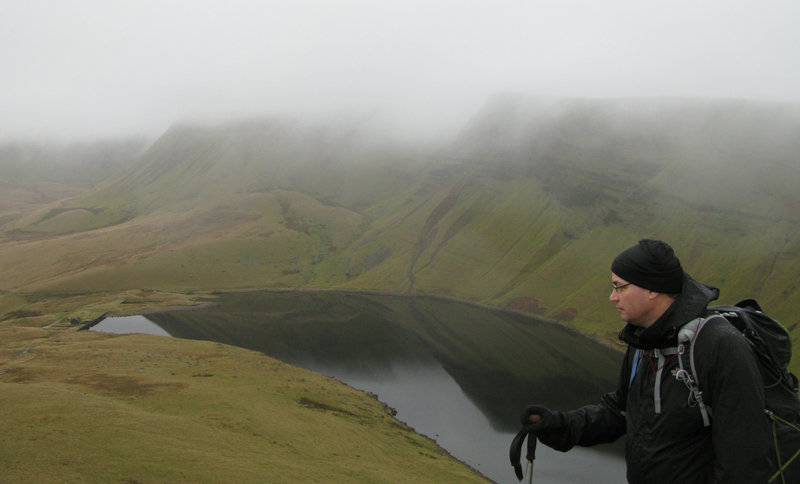 His plan on walking much of the 1500 miles comes steadily undone. This is no ‘how to’ book, more a fascinating personal account of encounters with a part of Europe undergoing change, and its people in a time that shall, thankfully, never be encountered again. 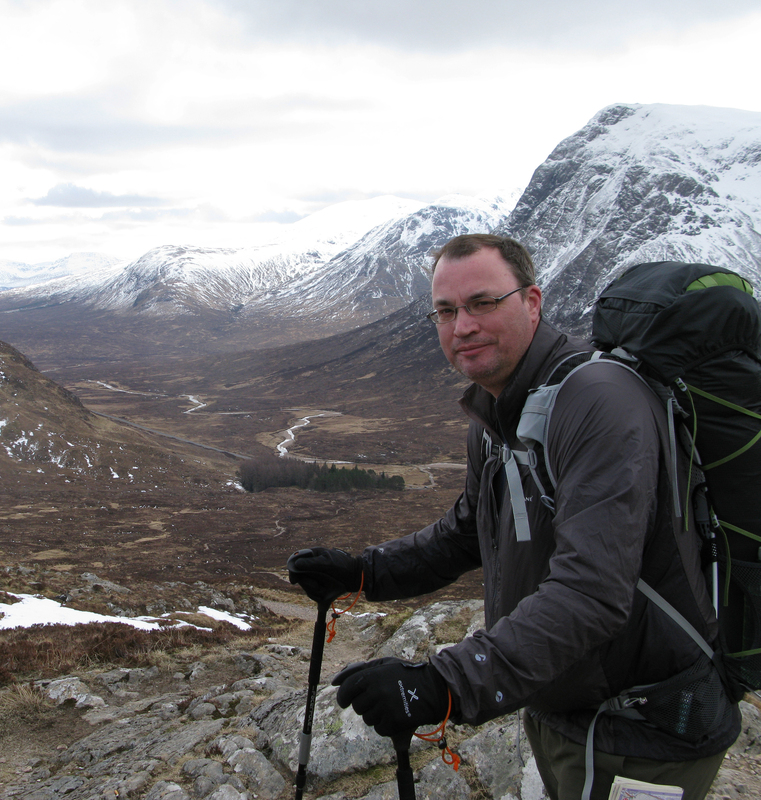 This is a fairly well presented story from an accomplished author and traveller. But it is no Jupiter’s Travels. When I left the army, my intention was to travel to India, buy an Enfield motorcycle, still being made there as a pattern copy of the British made Royal Enfield, and ride it home to the UK. That would be my adventure. Postponing this, I instead travelled to England and found a home and a job. As a consequence, that particular adventure never occurred for me. Give thanks for the true adventurers out there. This entry was posted in books, Uncategorized and tagged book, Kindle on January 15, 2018 by Jools. Sitting at home, full of the lurgy, I decided to put procrastination to one side and clean up a couple of my knives and multi-tools. It is surprising how much gunk can build up in the slots and crevices of these tools. A bit of kitchen towel, a couple of cotton buds and a rinse under warm water with some scrubbing from a nylon brush sorts them out nicely. No need to dismantle any that I have been looking at. Dried out over a warm radiator and a wipe over with a smidgen of dedicated oil is all that is required. This entry was posted in Gear and tagged gear, hygiene, knife, knives, multi-tool on January 14, 2018 by Jools.